At last! a rose that combines the classic, fragrant, fully petal tea rose with the ease of a disease-resistant landscape rose. 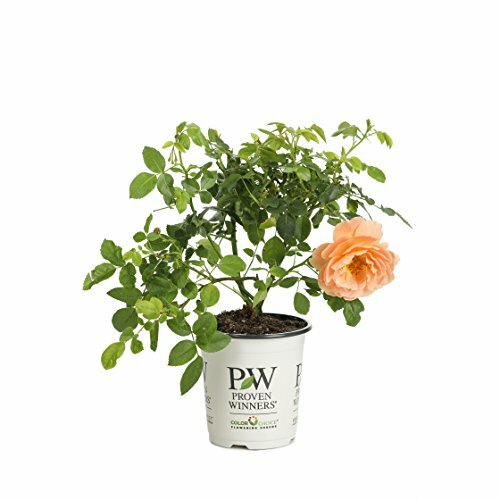 Proven Winners at last rose is delightfully fragrant, with soft orange blossoms that bloom from late spring through frost. Its vigorous, rounded habit & glossy foliage make it perfect for the landscape or flower garden. No spraying necessary, but pruning back by at least one third its total height each early spring can help keep it spectacular year after year. Make your cut just above a thick, healthy bud. At last prefers full sun & well-drained soils. A vigorous, rounded habit and glossy foliage make At Last perfect for landscapes, flower gardens, and containers.